Merchandise Listen to samples of Big Mike's music and purchase his CDs and DVD. ScheduleCome see Big Mike perform live on stage! Biography Learn more about the "Biggest Man in Blues". 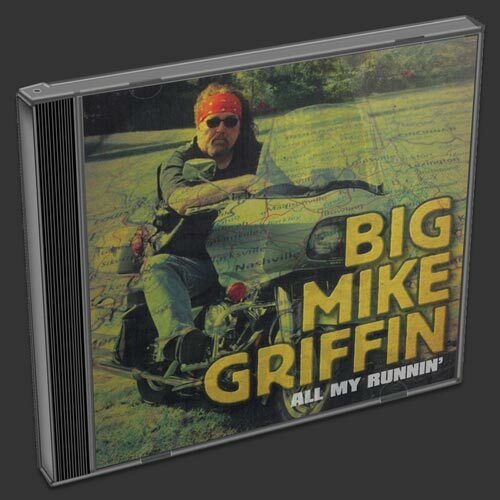 Welcome to Big Mike Griffin's official website! Here you'll find all the latest news and happenings of "The Biggest Man in Blues". Plus, you can visit our online store to purchase Big Mike's CDs and more! 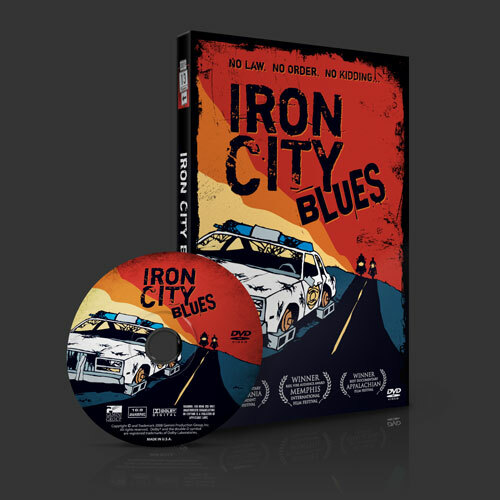 Watch Big Mike in "Iron City Blues"
Join Big Mike on a wild road-trip into a lawless Southern town in this award-winning documentary. 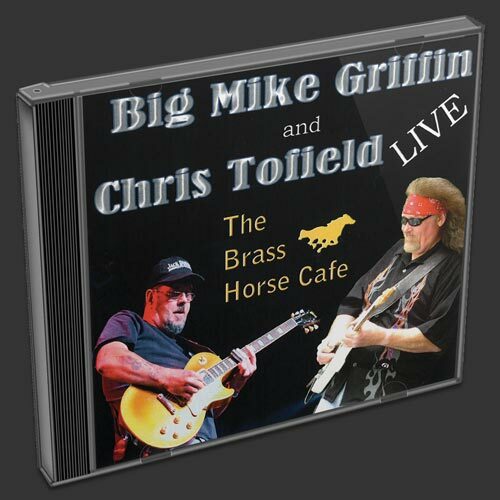 Recorded live at the world-famous Brass Horse Cafe, in Barkhamsted, CT, Big Mike joins with his friend and legendary guitarist Chris Tofield to play the blues and rock the house! Pack some heat and join biker/bluesman Big Mike Griffin on a wild road trip in this award-winning documentary. Features the title cut written by Big Mike's childhood friend, the late Byrd Taulbee. A "must have" for Big Mike fans!! The collection as big as Big Mike! 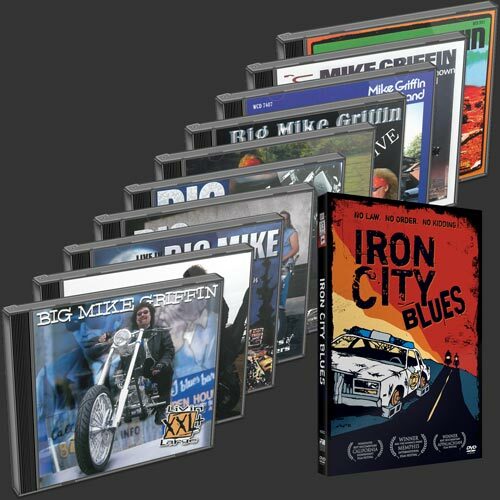 The Big Collection contains every Big Mike album plus "Iron City Blues" and is the perfect gift for any Big Mike fan!